For all things DIY, crafty, fun, and fashionable! 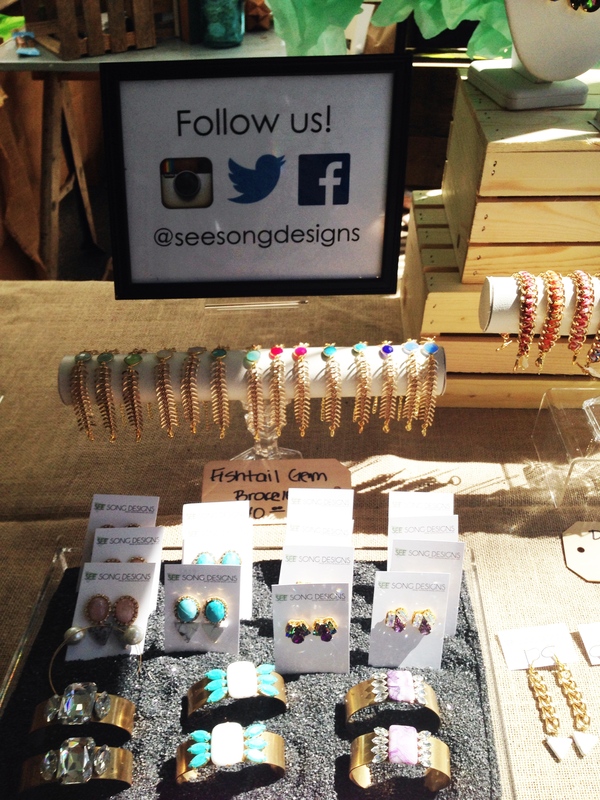 Renegade Craft Fair was this last weekend, and it was such a blast! 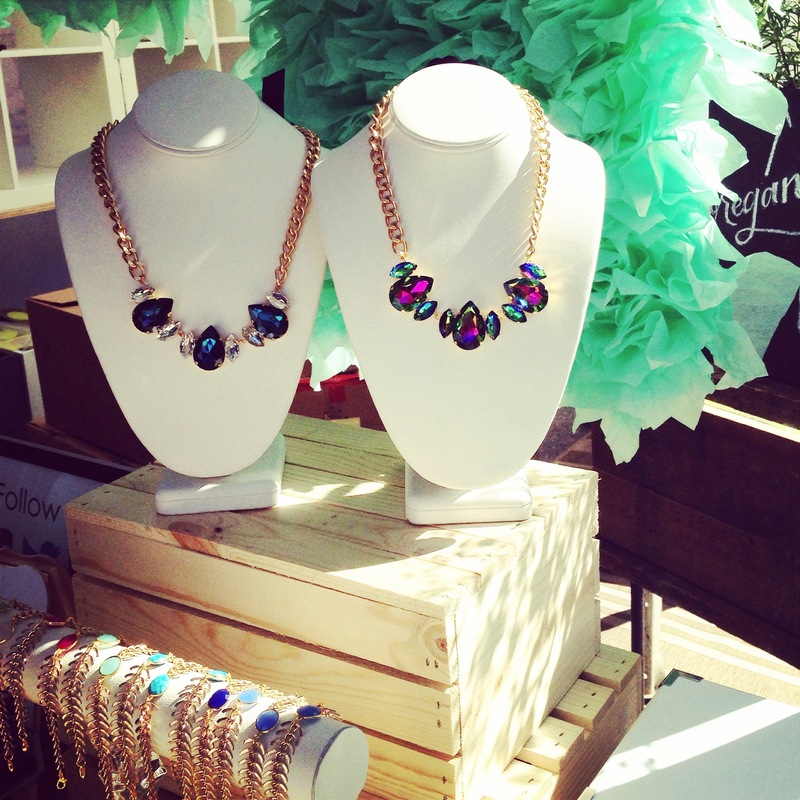 Thank you to everyone who stopped by our booth and checked out our new pieces. 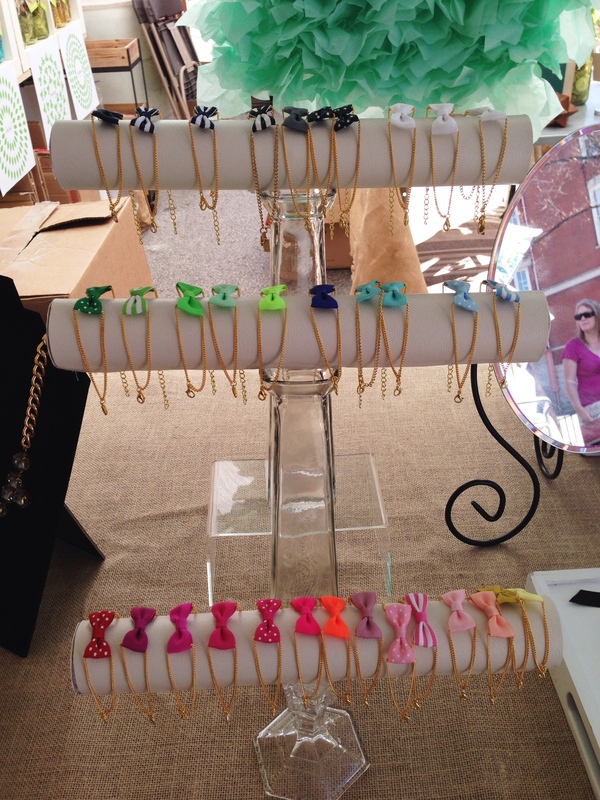 Our Bow Bracelets and Fishtail Gem Bracelets were a huge hit at Renegade, so I’m excited to get to work creating more to restock. 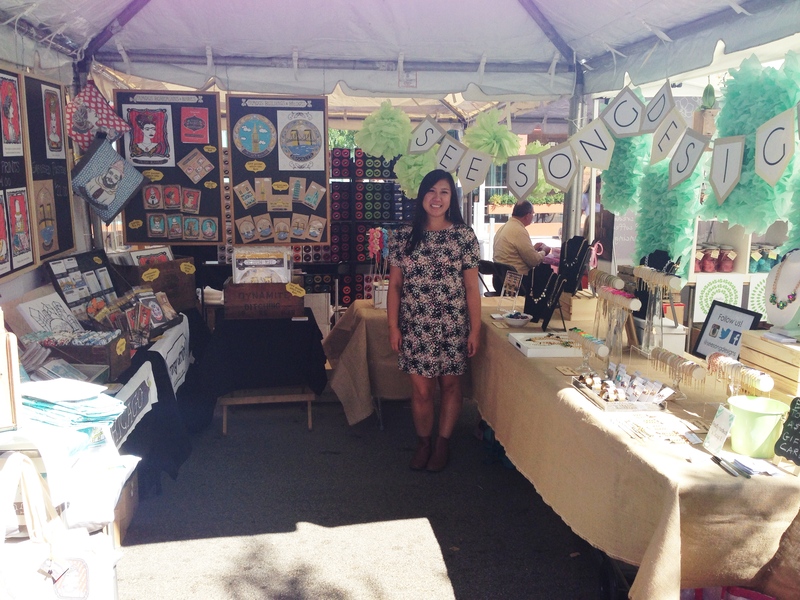 I have done quite a few craft fairs and street festivals in the past, but by far, Renegade has been my favorite to exhibit and attend. I haven’t done a craft fair in quite awhile, so I was really excited for Renegade. I really wanted to revamp the look of my booth and the jewelry displays, so lots of planning and Pinteresting happened. I decided on a neutral table cloth of burlap and then I made new bracelet stands inspired by this tutorial from Life Ann Style. Instead of using paper rolls, I used PVC piping from Home Depot that I covered in vinyl that I got from the fabric store. I also got some wooden crates from Michael’s to use as risers. I also used a clear tray from the container store filled with sparkly sand to hold my earrings and cuff bracelets. For the tissue paper back drops, I used this tutorial from Ruffled Blog. They were so easy to do, and I loved the way they turned out! I also got the opportunity to share my booth with Tammy from Tammy Smith Designs, so it was great to see how our brands looked side by side. If you need some unique and fun art you should definitely check out her collection! Renegade has such a great variety of goods and the sheer caliber of the skills and creativity of the vendors are so amazing and inspiring. 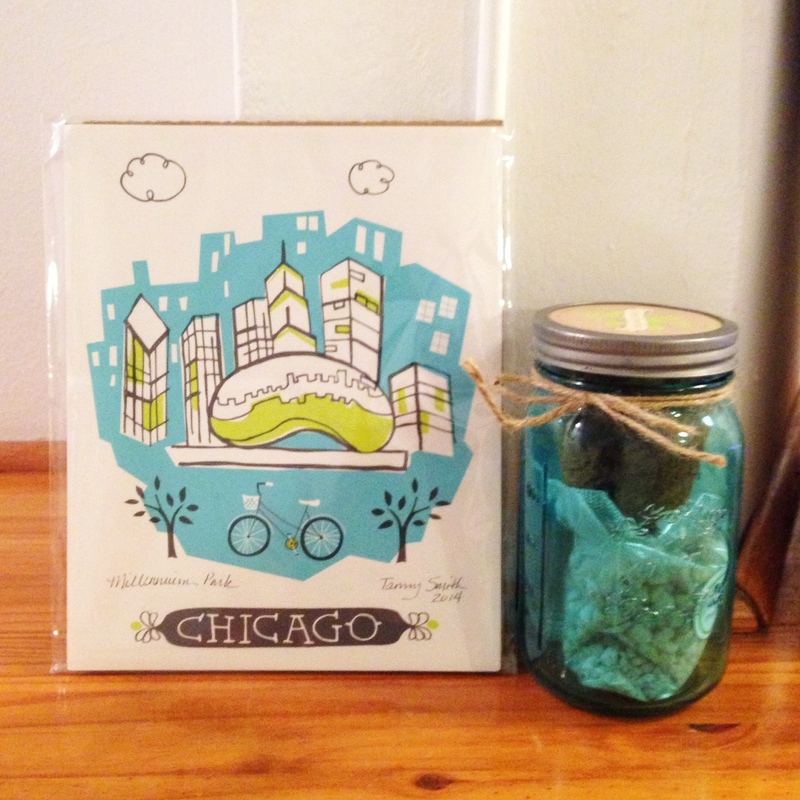 I constantly had to remind myself that I was there to sell and not to shop, but that didn’t stop me from picking up a few things 🙂 I ended up getting this Chicago Print from Tammy Smith Designs and this Self Watering Garden Jar from my other booth neighbor, Modern Sprout. Thanks again to everyone who stopped by and be sure to check out our Events Page regularly to see where See Song Designs will be next! 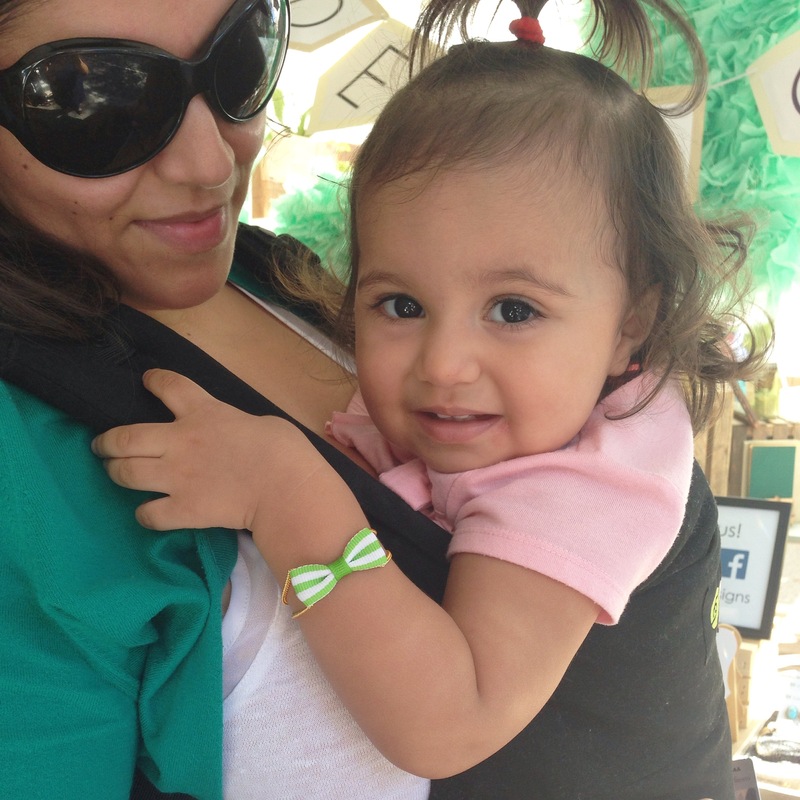 Had to share a snap of our littlest and cutest bow bracelet customer from this weekend! Hey great article on the RCF Liz!! It was so nice to be your booth neighbor. You and Dan were so great and your jewelry is LOVELY. Thanks for the mentions here in the recap too! Hope we cross paths again soon.